Clemson forward Elijah Thomas has had a rough go of it through the first seven games of the season. He’s had to deal with sprained ankles and was under the weather, which kept him from practicing with the team consistently. But there’s some good news for Clemson basketball fans: head coach Brad Brownell said Thomas is “pretty much” 100 percent after a strong, consistent week of practice. Clemson (5-2) is coming off two straight losses, the first being an 87-82 loss to Creighton in the Cayman Islands and the other being a 68-66 gut-punch to Nebraska at home. Since the loss to Nebraska, the Tigers got the rest of the week to regroup on the practice court. 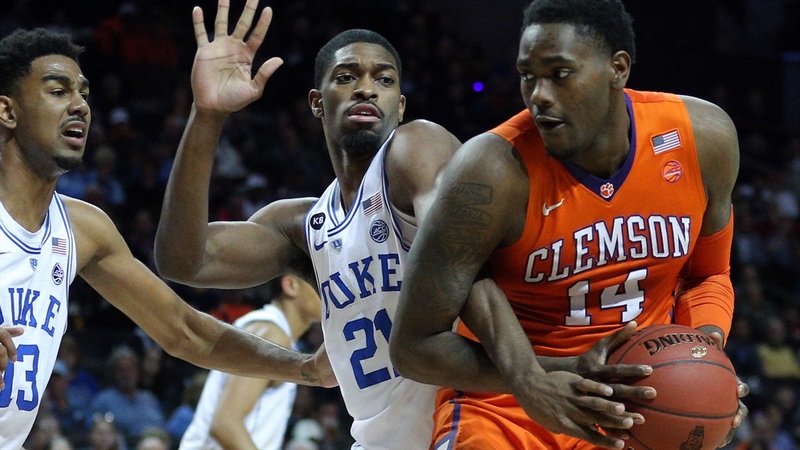 Going into their matchup with Saint Peter’s on Tuesday night, Clemson will have had eight days to rest and improve. “I think this was a good break for us,” Brownell said. In basketball, you play games and it can be good if you are in a good rhythm. You play two, sometimes three, games in eight days. It’s hard to get into the gym and practice on the things you need to improve. Thomas played 17 minutes against Creighton and 22 minutes against Nebraska, his two lowest outings of the season. Brownell noted that the three games in three days at the Cayman’s took a toll on Thomas’ conditioning. Having Thomas back at practice this week has not only helped his game improve and get back to the way it was before getting banged up, but it also helped his teammates. Thomas is averaging 11 points and 6.6 rebound per game this season. His most recent game against Nebraska, he scored 16 points on 7-of-8 shooting in those 17 minutes of action. The longer he can on the floor, the better Clemson will be. Tomorrow’s game against Saint Peter’s at home at 7:00 PM will be a chance for Thomas and Clemson to get back into a winning rhythm before a matchup on the road against No. 22 Mississippi State on Saturday. –- Eli Thomas 100 percent?